This is a sponsored post. This post may contain affiliate links. Catherine and I swimming at Half Moon Cay, Holland America's private island in the Bahamas. That's our ship in the background. We were super excited to be able to cruise on the ms Noordam just before Christmas. Our group, spanning three generations, consisted of myself, my husband, Catherine (age 4), Dominic (9 months), Grandmom, and Grandpop. We started in Fort Lauderdale and visited the Bahamas, Jamaica, Grand Cayman, and Cozumel. There is simply no way I can fully cover everything that happened on our cruise, but here's a quick review! 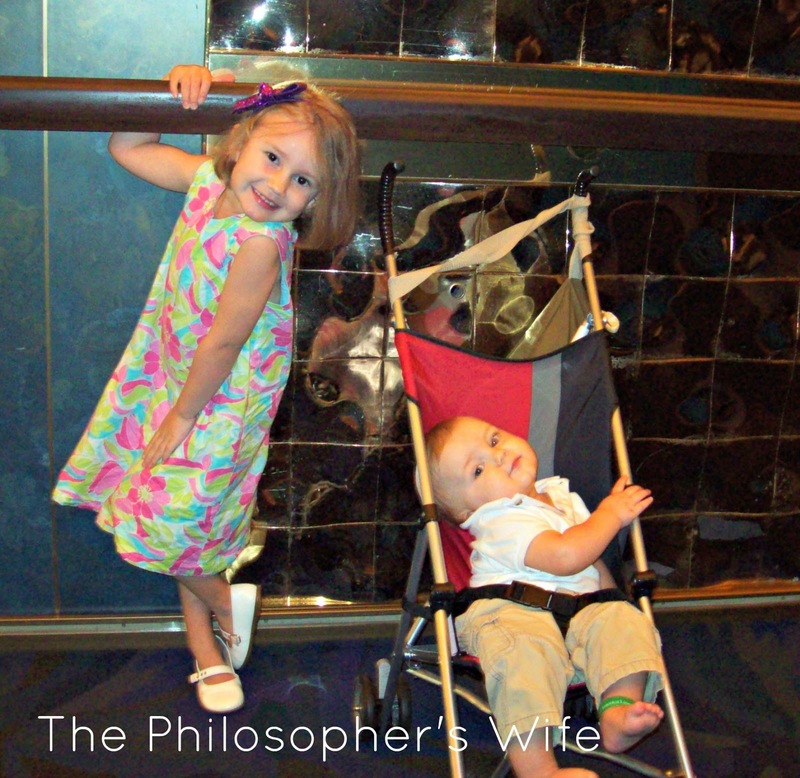 This was my first time on a Holland America ship, and it was Catherine and Dominic's first cruise. The ship itself was beautiful and classy. I wouldn't call it understated, but it was not ostentatious. There are a variety museum worthy masterpieces sprinkled throughout the ship. I was also very happy that they decorated beautifully for Christmas. Catherine thought the "golden room" was quite fancy. 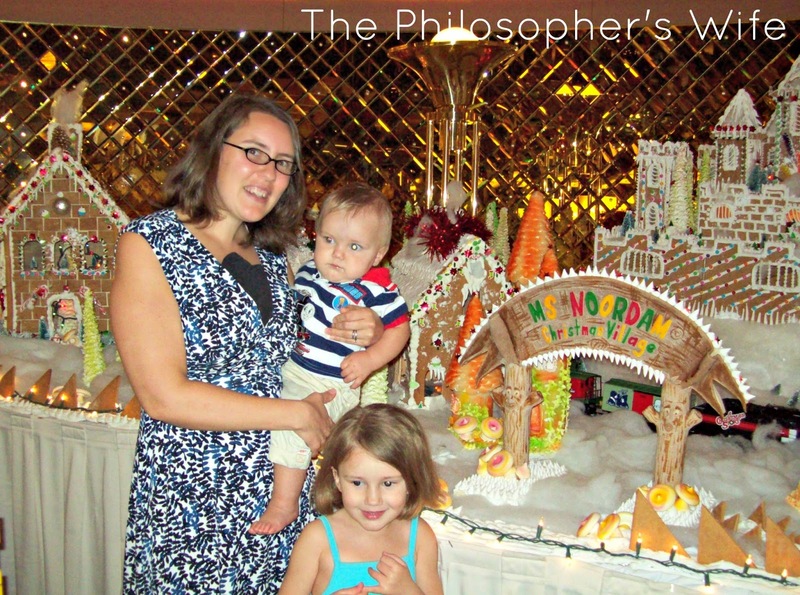 Catherine especially loved the gingerbread village in the main atrium, aka the "golden room". Our room was quite lovely. We were pretty excited that we were able to have a Verandah stateroom at an affordable price. It had a queen-sized bed, a little couch that converted to a bed for Catherine, and floor-to-ceiling windows. (There was also a drop down bed, but Dominic wasn't quite ready for it.) The signature Mariner's Dream™ beds were actually quite comfy. Our room stewards Hary and Yasa kept our room beautifully shipshape. Catherine wasn't the only one that enjoyed the legendary animals that they made for us, I made sure to take a picture of every single one. including a swan and an elephant. There was always something fun to do! 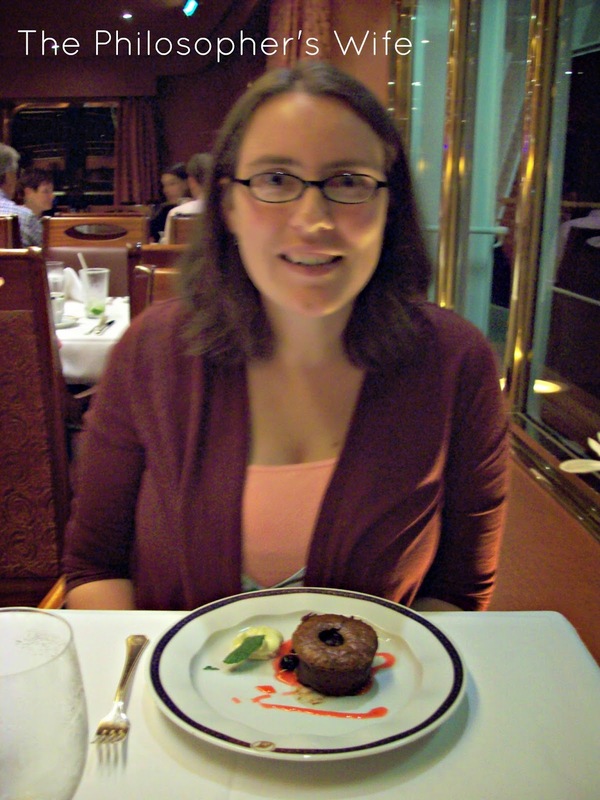 Catherine loved the Club HAL, which is Holland America's youth program. (She loved it so much that I have dedicated an entire blog post to Club HAL.) I enjoyed the cooking demonstrations; I especially enjoyed the Creme Brulee demonstration and tasting! Since the ship had two pools, there was always room for us to splash about. The midship pool even had a movable roof, which was great when we were in Mexico because it was a very drippy day. Catherine and I enjoyed the pool. 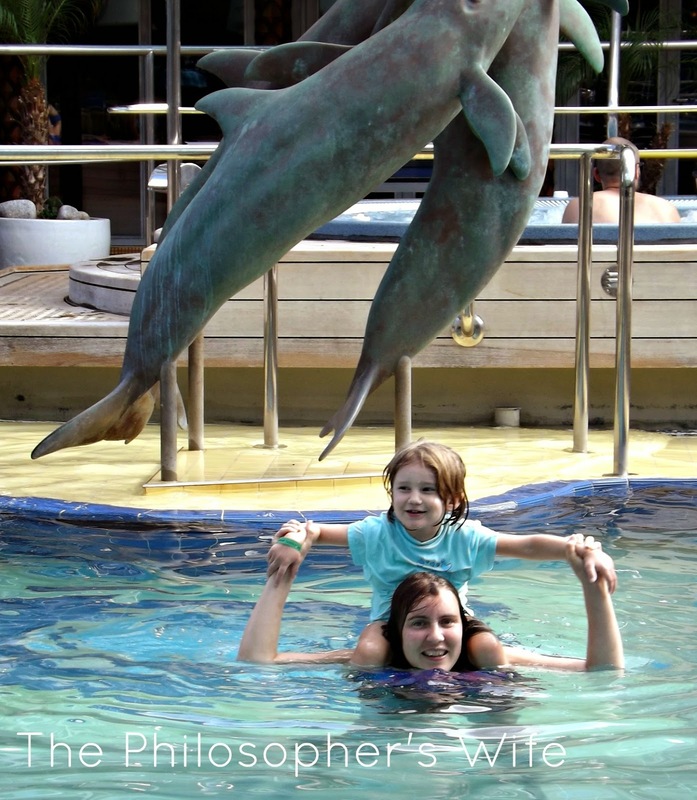 Isn't the dolphin sculpture behind us neat? The nighttime entertainment was about average in my opinion. On all of the other cruises that I've been on there were two viewings of the nightly big show. This time there was only one. Dominic, Grandpop, and I attended most of the magician's show. While he didn't have any completely knock-your-socks-off tricks he did have a well put together routine, and it was quite humorous. My husband, Grandpop, and I also enjoyed the comedian. The big song and dance show was entertaining. (Although I couldn't quite decide if the accompanying light show was cool or distracting.) We didn't really participate in any of the other nightlife festivities. Two activities that I never got the chance to attend (because I was busy doing other fun things!) were the Sit and Stitch and Afternoon Tea. This was the best fourless chocolate cake ever. Seriously. My cuties posing outside of the buffet. In a nutshell, we had a great time and I highly recommend Holland America. Oh man, I would love to go on a cruise again. So glad you guys have a fun trip! That sounds like fun! The thing, besides price, which has held me back from cruises was having to share the space with people I don't know at all. How is that? I know that may sound weird, since these ships are so huge, but the idea of being in the same space with strangers for so long is not nice to me. HI, looks so neat! Thanks for sharing! Living in the city I don't get to see miles and miles of sky very often. It's one of the sights that can make me glad and thankful to be alive. It's esp great that so many generations of your family got to vacation together - thx for sharing! Looks like you all had a good time. ..awesome. ..
With all the cruise horror-stories on the news all the time, it's good to see that it's possible to have a wonderful time on cruise! I've never been on one before, but it sounds amazing. Lovely family pictures of special times together...there is NOTHING like warm family love - warm family memories! I have yet to go on a cruise, but would love to one day. The folded towels are cool. This sounds like so much fun! I would love to take my family on a vacation. I've never been, but would love to go. my goodness! what an idea for special times with family. thanks for the suggestion and pictures. Heard good things about this cruise line. Thanks for your review! How blue is that water?! Amazing. 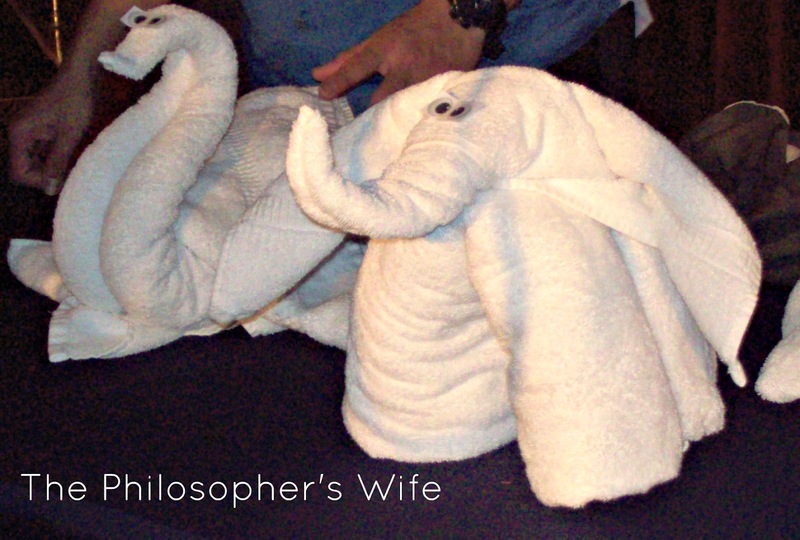 I have been on one cruise and the towel animals and bedspread folded into a heart were sweet touches :) Ok, have to go on another soon!! Looks like you and family had a great time. I love cruising. 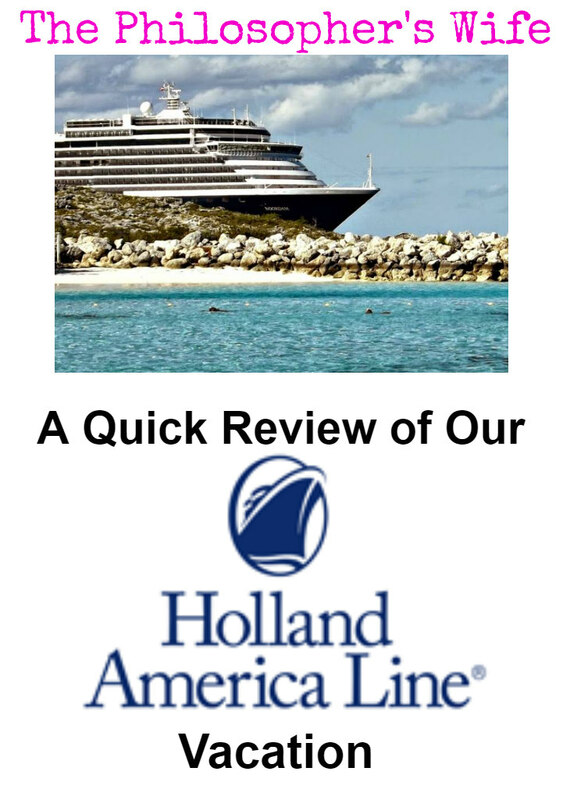 Have been on Holland and they are a great cruise line. Living right here in Florida and yet I've never taken a cruise. It's pretty much a sin, right? haha. You and the kids are so cute and your pictures say it all. I'm really wanting to go now. Thanks for sharing with us. That was a fabulous cruise. I've never been on one and probably won't ever. It lookslike so much fun. Really covering a lot of ground with that one cruise! Glad your family had a nice time! I have yet to take a cruise but I think I need to book one. Thanks for confirming that I need to book one. This looks beautiful and relaxing! It must be so wonderful to travel this way! I have been on a Carnival Cruise before and it was not bad. I may need to try this brand to compare the two. Looks like you all enjoyed yourselves. I have never been on a cruise before but have always wanted to. The route you took is one of my top cruise routes. It sounds like you had a wonderful experience! In the 13 cruises I've taken, I've never taken one on Holland. I have to agree with you, though, that the dining room food and service is always amazing. Years ago they used to seat you with other parties at larger tables so you got to know other passengers. The last two cruises we've taken, they do that. Pity as it was always delightful to get to know other people. From your review, and the ship's itinerary, I think I'll have to seriously consider Holland for our next cruise. I love cruising, but have never been on this line. It looks wonderful though and sounds like I may look into them for my next vacation. It would be amazing to have a cruise experience one day! It sounds like an elegant way of vacation. I bet it was fun! A vacation on a cruise ship is a dream of mine. You all look happy and had a lot of fun on your trip! I would love to do a cruise one day !! It must be a great experience and oh so fun !! This cruise looks like a blast! There's something for everyone in the family. Cruising with family sounds great. The pictures look beautiful and your kids are too cute. My cruising dream is still not fulfilled, but now I know what to look for, so that my first cruising experience hits the bull's eye. This cruise sounds like a dream! I haven't been on one before -- not even a boat -- but I hear the cruises are a lot less rocky. 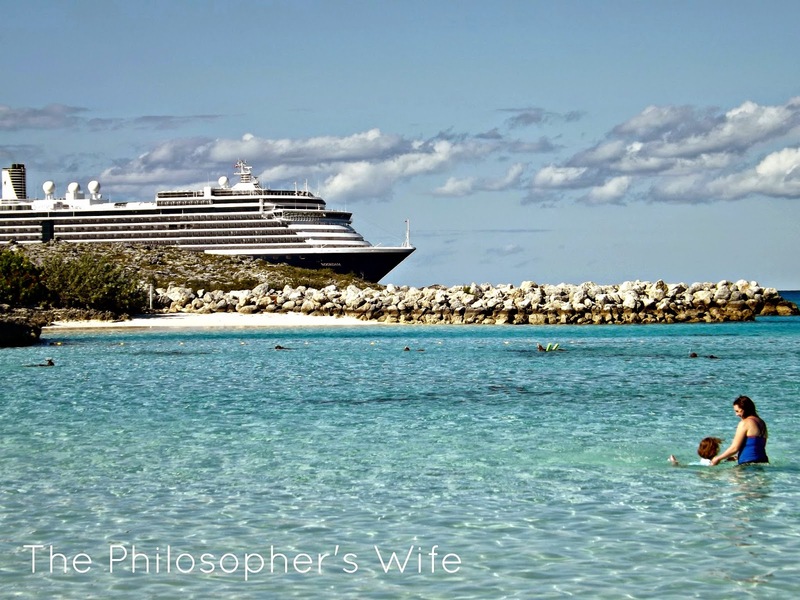 Your cruise looks so fabulous. That Is one of the things on my bucket list. This just reminds me that I need to go on a cruise in the near future with my daughter. Were talking about it with friends last weekend and I would really love to go. It's always been a dream of mine to be in a cruise! It looks fun and fab, thank you for giving us a chance to see what it's like to be in a cruise. Hopefully I could go to a cruise someday. Wow you've been on 5 cruises! I have still never gone on one. I'm glad your kids had a good time! That's very important. I never been experience cruise. Hopefully someday! By the way, great blog post and the cruise is totally amazing! Love this.